Pickford only made his England debut In November. That’s some trajectory – from debutant to national hero in nine months! The epitome of an “overnight success”… This, however, is the story of resilience and perseverance. The story of how belief, a steely determination and a “never say die” attitude sowed the seeds of international success. 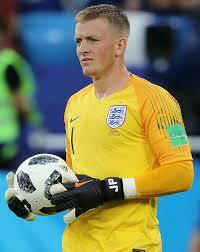 Just last weekend, following his performance against Belgium in the group stages, Pickford was ridiculed by Belgium’s goalkeeper, Thibaut Courtois, and was the subject of much public debate… Some critics were even calling for him to be dropped – not to mention the furore over the fact that Joe Hart wasn’t even included in England’s World Cup squad… Pickford’s promotion to “England’s Number One” has been the subject of much debate here in England. Your roots determine your fruits. As Brendon Burchard would say, “Honour the struggle”. “A pessimist sees the difficulty in every opportunity; an optimist sees the opportunity in every difficulty.” Winston Churchill. Keep on keeping on… You never know how close to are to achieving your goals! Where would England be today if Jordan Pickford had quit following relegation with Darlington, without a single league victory under his belt? Further food for thought – Both Pickford and David Ospina (Colombia’s goalkeeper) got their hands to (what would become) the final penalties… Pickford’s strength and technique prevented Carlos Bacca from scoring the goal, whereas Ospina merely deflected Eric Dier’s penalty into the net… Would Pickford have had the strength to stop Bacca’s shot if he hadn’t resolutely and determinedly worked at his craft – time sacrificed in the gym, and practice, practice and more practice… I’m not saying that Pickford is a better or stronger ‘keeper than Ospina, my point is that it’s the work that you (sometimes privately) put in behind the scenes that contributes to your public success. Keep on keeping on – your roots determine your fruits. Previous Previous post: Looking for the antidote to missed deadlines and procrastination? This is IT!